Aviation Week Network intends to answer that question and other UAM-related topics through their Urban Air Mobility Conference next week in the Georgia World Congress Center at Atlanta. 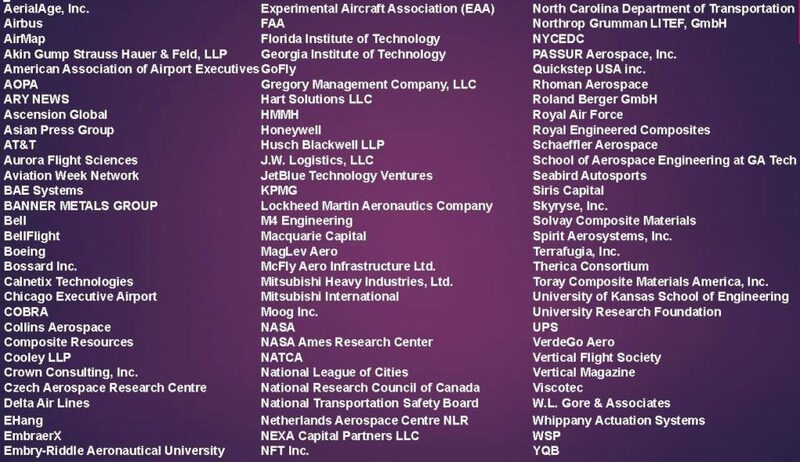 Featuring over a hundred companies and various individuals, as well as associations such as the FAA and NASA, this conference represents a prime opportunity for manufacturers, regulators, disruptors, technology innovators, municipal leaders, and the infrastructure and investment community to gather together to discuss commercialized urban aviation and developments in the UAM community. To learn more about each of these events, take a look at Aviation Week Network’s official conference agenda. In addition to taking a look at the various sectors and developments in the UAM industry, startups will also be given an opportunity to pitch their best ideas to potential investors at the UAM Innovation Pitch Session. The conference is produced by Aviation Week Network and supported by the General Aviation Manufacturers Association (GAMA). It takes place from 8:30 a.m. to 5:30 p.m. on Tuesday, April 9 and 8:30 a.m. to 2:30 p.m. on Wednesday, April 10. A representation of all the companies and associations attending the conference. Why it’s important: This conference gives the opportunity for those participating or interested in the UAM community and market to take a look at the various innovations developed among those in the community, learn more about issues and barriers to developing the UAM industry, and provides a spotlight on the UAM industry for companies and individuals alike to gain and provide insight.